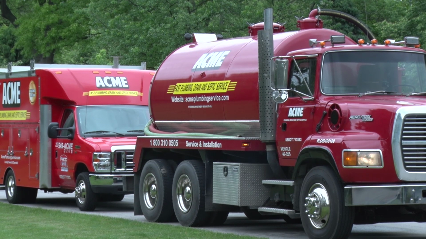 ACME Plumbing, Drain & Septic Service is a full-service plumbing company that has been serving Central Indiana for over 75 years. We provide a wide range of dependable, cost-effective plumbing and drain services. Our team members are skilled professionals who take pride in providing honest, dependable, and affordable plumbing services. We are committed to delivering exceptional services in a timely manner without sacrificing quality. Those core values have helped us grow our team and serve residents throughout Indiana. Throughout the past 75 years, we have developed a reputation among Indiana residents as the go-to company for quality plumbing and drain services. Whatever your project or plumbing issue calls for, our skilled professionals are trained to handle it. Whether it is drain cleaning, water heater repair, septic tank cleaning, replacements, installation, septic repair, or any of our other plumbing services, we aim to provide the utmost satisfaction at an affordable rate in a timely manner. We would be honored to have the opportunity to work with you. Schedule a service or contact one of our team members directly at 317-423-7289.